The Columbia Icon Double Roller bowling bag is a great mid priced bowling bag with several bells and whistles. 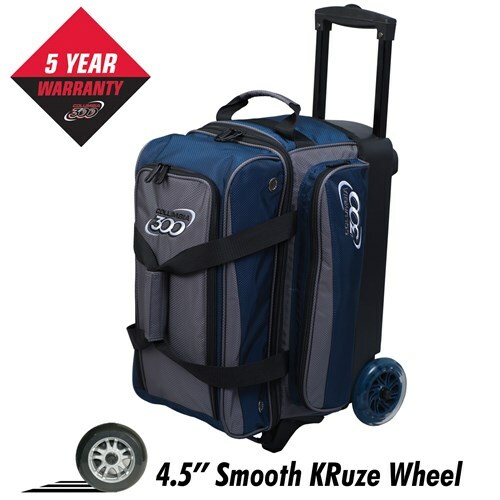 This bag is made of quality 600D fabric and has compartments that not only hold 2 bowling balls but up to men's size 15 shoes and lots of accessories. Color coordinated handles and wheels give this bag a little extra style. Due to the time it takes to produce the Columbia Icon Double Roller Navy/Charcoal ball it will ship in immediately. We cannot ship this ball outside the United States.